Kristen has more than two decades of experience guiding businesses in their financing strategies. Her current practice centers on advising innovative companies – from startups to growth-stage – on the full range of corporate and securities matters, including securities offerings, investment vehicles, and broker-dealer, investment adviser and alternative trading system regulations. Kristen has a particular fluency in the unique needs of cryptocurrency businesses and use of the Regulation A+ token securities offering. Her experience as general counsel for a $20 billion financial services firm brings strong business perspective to her legal practice. She enjoys working closely with clients to accomplish their business goals, tailoring legal advice and solutions to fit each client’s operations, industry and risk profile, with a problem-solving mentality. Prior to joining Fox Rothschild, Kristen was a principal at Riddell Williams. 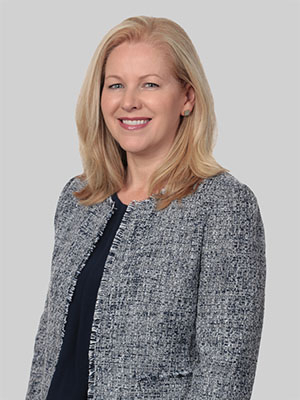 Kristen previously held the position of General Counsel and Corporate Secretary at Rainier Investment Management, an investment management and mutual fund company, where she oversaw all legal matters, served on the executive team and managed outside counsel. Before that, she was Corporate Counsel at Quantum, where she managed a wide range of legal matters for global technology company with offices throughout the United States, Europe and Asia. Kristen cherishes her time exploring the beautiful Pacific Northwest and beyond with her children and husband, particularly by kayak, and cheering on youth soccer and the Seattle Sounders.